This is Volume III of a five volume transcription of records for Delaware's military activities from King George's War (c1733) through the War of 1812 to about 1827. Volumes I through III contain information concerning Delaware's military and naval services members from 1744 through the Revolution. Volume III includes an index to the first three volumes. 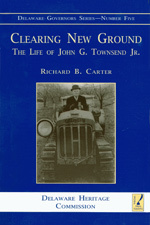 Clearing New Ground: The Life of John G. Townsend Jr., by Richard B. Carter, 2001, 644 pp., HARDCOVER. Prices reflect the cost of the book PLUS S&H fee of $5.00. 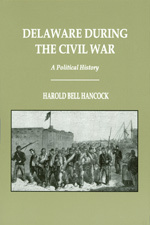 Delaware During the Civil War, by Harold Bell Hancock, 2003, 197 pp., HARDCOVER. Prices reflect the cost of the book PLUS S&H fee of $5.00. 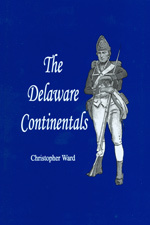 The Delaware Continentals, by Christopher Ward, 2001, 620 pp., PAPERBACK. Prices reflect the cost of the book PLUS S&H fee of $5.00.